Create the ultimate glow with Revolution Pro 4K Highlighter Palette. Formulated with Revolution's most intense and buttery pressed pigment formula, Gold features four incredible shades; a cool white shimmer with three gold-toned shades to add glow and dimension to all skin tones. Explore the entire range of Highlighters available on Nykaa. 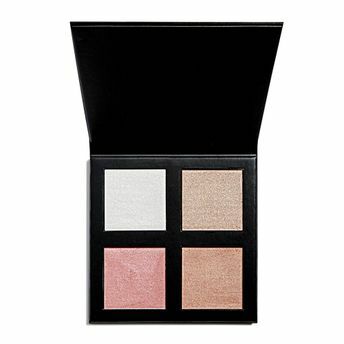 Shop more Revolution Pro products here.You can browse through the complete world of Revolution Pro Highlighters .Alternatively, you can also find many more products from the Revolution Pro 4K Highlighter Palette range.